. 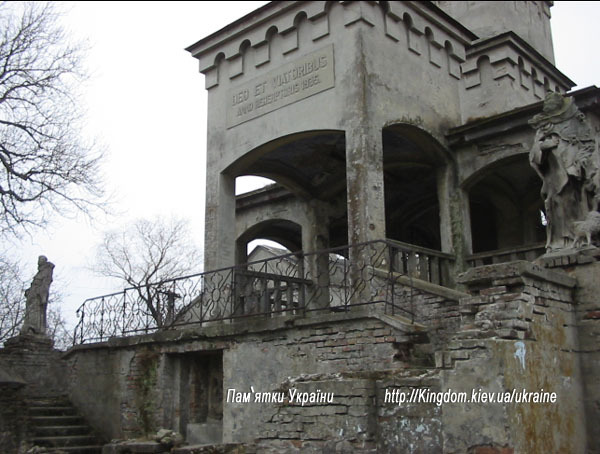 Town is located in Lviv's region, 17 km away from Chervonogorod and 80km away from Lviv. In ancient times Belz had been one of the largest cities situated on the western lands of the Kyiv principality (belz means boggy, humid country). It was mentioned the first time in the chronicle during events in 1030 when prince Yaroslav “seized Belz” during campaign to Poland and gains of the Chervenski cities. 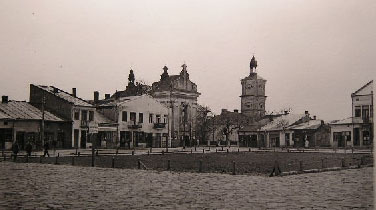 Belz had been the largest city at that time. 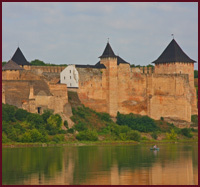 City was surrounded by barrage from three sides and by steep from the southern side. Probably, wood wall had been through barrage surrounding city and it continued at the place where no barrage was located. 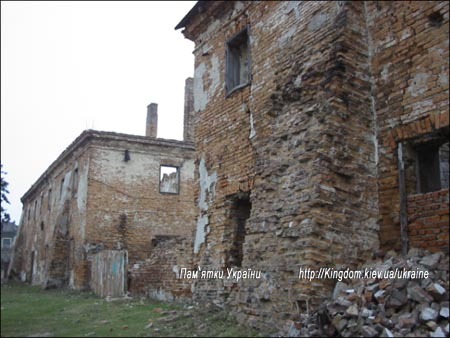 According to the archaeological research, city was separated in the middle by barrage which separated Detynets from surrounding city. Glass beads, smithereens were found on this territory. 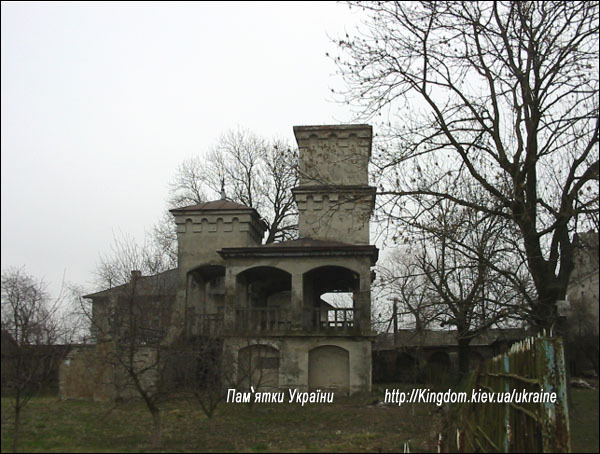 It refers to the times of Volyn principality. One more date was mentioned in the chronicle. 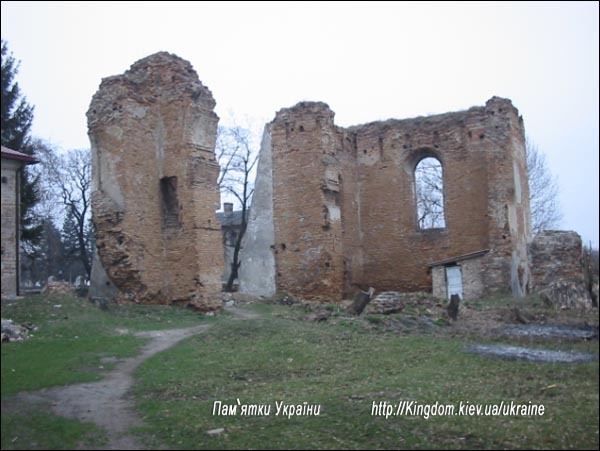 It was 1188 in accordance with struggle of princes for power – at that time Belz had been prince residence of younger Volyn prince. 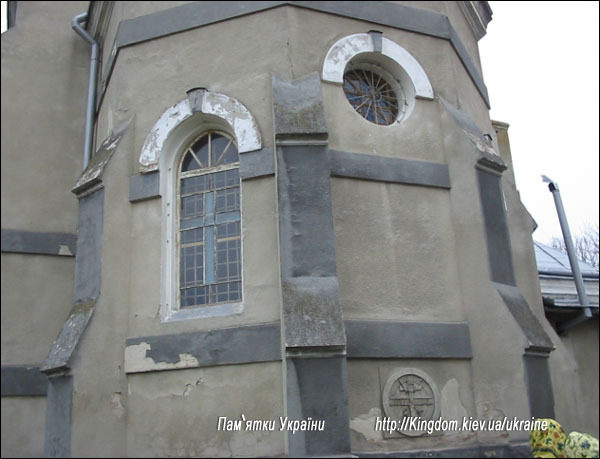 At the beginning of 13th century Vasylko Romanovych had been a prince in Belz. 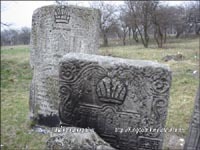 In 1349 the Polish king Kazymyr seized Belz like other cities in the Volyn region among which had been Volodymyr and Bereste cities. 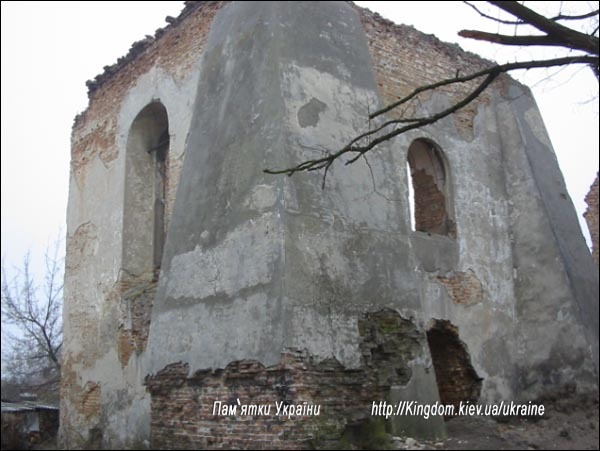 Lyubart seized only Luchesk city (Lutsk) but already in a year Lithuanian princes returned themselves Volyn okrugs. 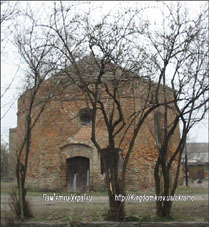 In 1376 the city had been under siege of Hungarian king Lyudovik who waged a campaign against prince. 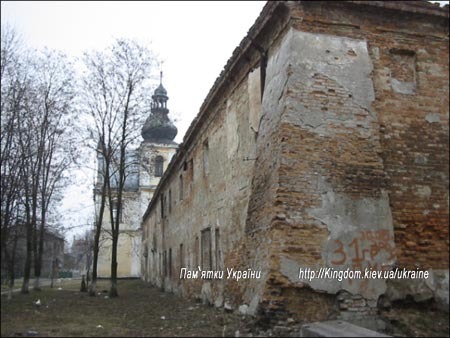 At that time Poles were struggling for Kholm seizing city successfully, and joined the king. 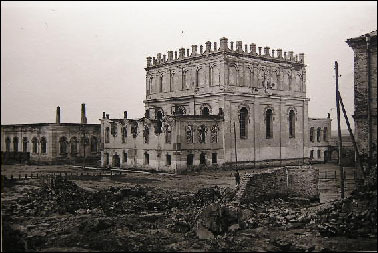 Belz siege lasted for 7 weeks. 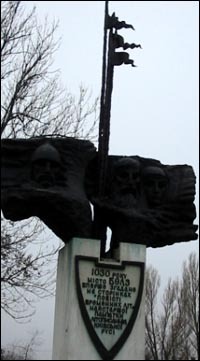 Kholm-Belz land was taken from Yuriy and joined Halychyna under the head of Vladimir Opolskiy – the last prince in Halychyna. 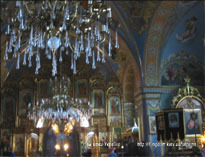 History about one icon –the Chenstokhovska Bozha Matir (Chenstokhovska Mother of God) is concerned with Belz. 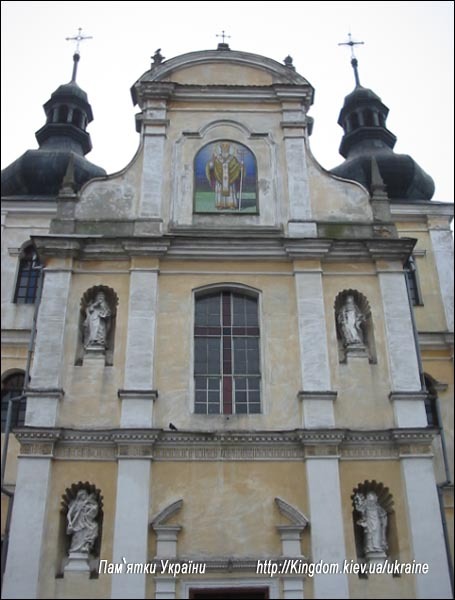 The name of icon resulted from the territory where it was transported from Belz in the 14th century and is situated in the abbey of Catholic order of Paulines. 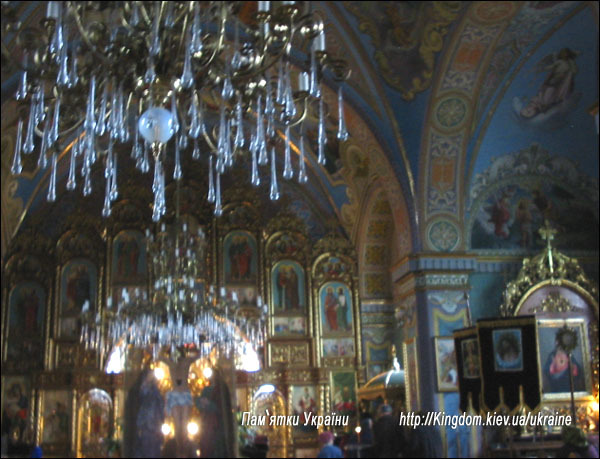 In 326 Jerusalem Christians presented icon to the tsarina Olena who brought it into Konstantinopol. How did this icon get into Ukraine? There are two versions. One is that it was brought by Kyrylo and Mephodiy. 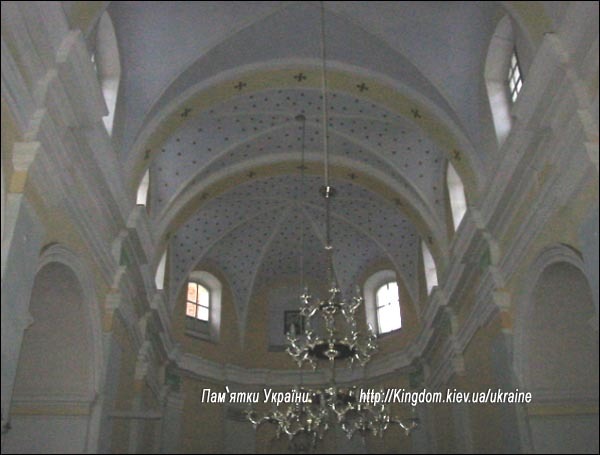 Another is that in the 10th century Greek tsarevna Anna was blessed by sacred icon to be married with prince Volodymyr. She took it with her to Kyiv. 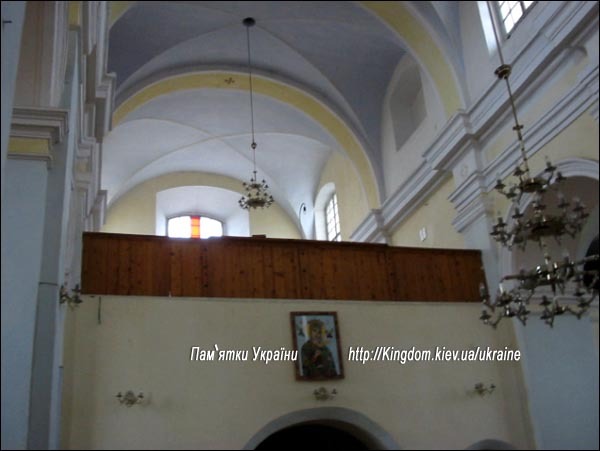 Icon got into Belz by marriages of Russian princesses with princes of Halychyna and Poland. Wonder is concerned with icon – it happened during seize of Belz by Tartar-Mongols. 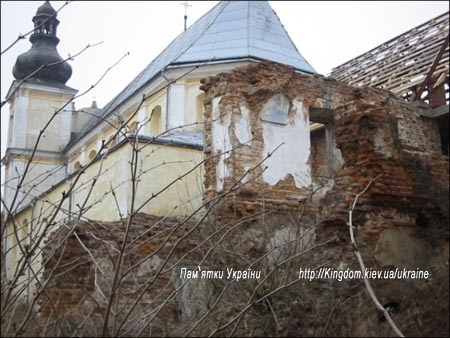 City residents asked Mother of God for help and brought icon to the walls of city fortress. One of Tartar arrows got into the image of Mother of God. Blood was pouring from the wound and darkness had fallen. 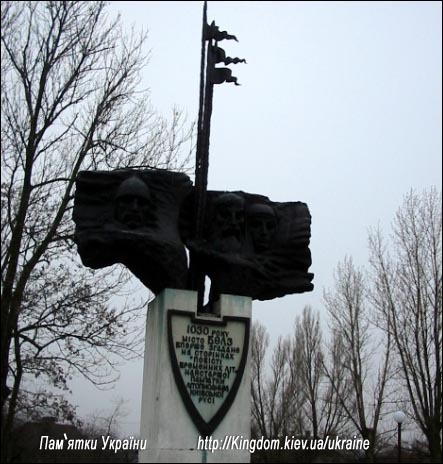 Tartars became panic-stricken and began to kill one another. Many Tartars died under the walls of the castle. The rest were horrified and ran away. 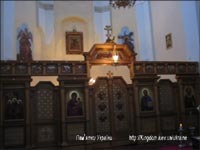 Since those times there has been a sign of triangle on the surface of sacred icon. 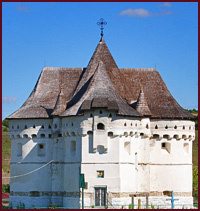 Icon had been in the temple of prince castle till 1377 in Belz. 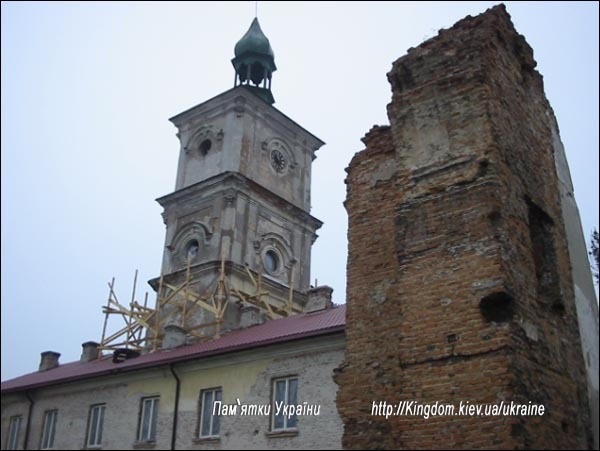 Then it was transported by prince Vladyslav Opolskiy to Lviv. Now icon is in Poland. 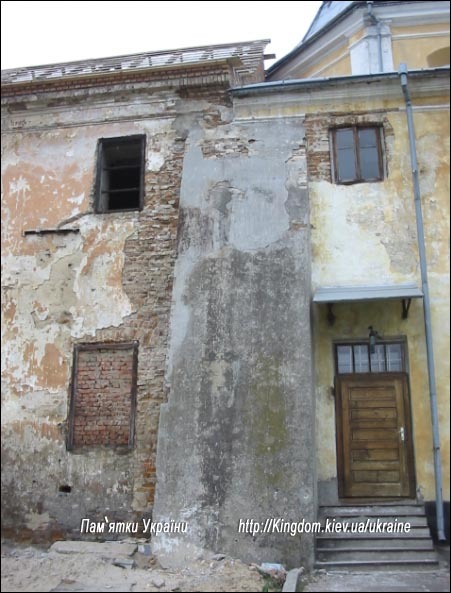 Belz is known for its Jewish history. 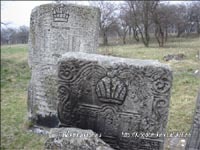 Rabbi Solomon Rokakh left for this place. 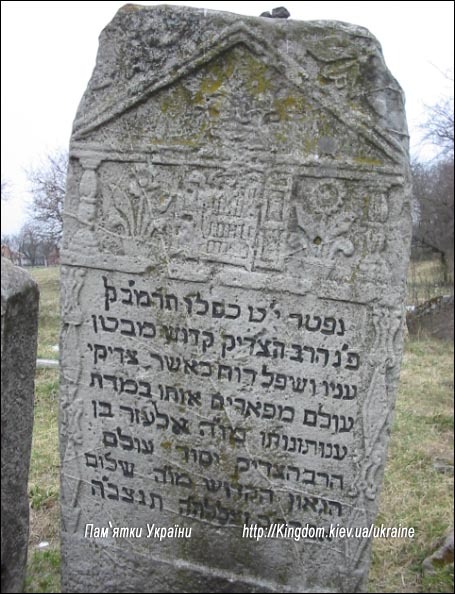 He and his family were buried there on the Jewish cemetery. Now cemetery is fenced. The residents steal pieces for non-ferrous metals. 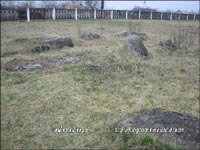 Only about ten tomb stones remained there. 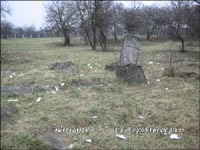 Other tomb stones had been stolen in order to build pigsties in 50th years. 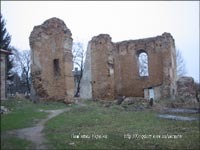 The remains of old synagogue were found in the school yard, it was undermined in 1942 and authorities are not going to build new synagogue. 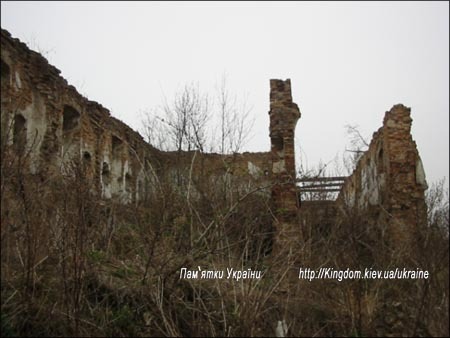 They planned to construct new building and even to establish new foundation and to make camping for Jewish tourists not far from it. But businessman from Lvov (?) had lack of money and project was frozen. 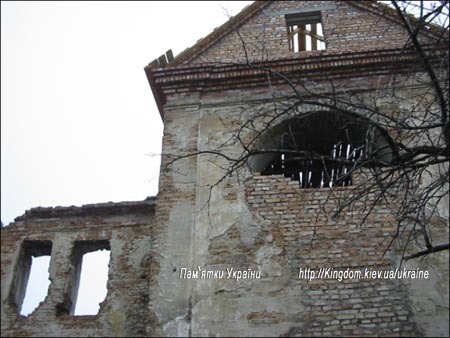 It was built in 1606. 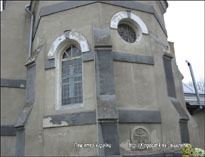 Tower was restored in 1969 and 1979. Local archive had been kept there until 18th century. 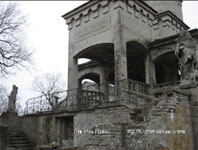 The tower has a form of irregular hexagon. The stone with date and emblem had been above the doors till 20th century. There is street with 4-storey bell tower with closed windows not far from the center of the city. The rest of the walls are reinforced with defense piers. 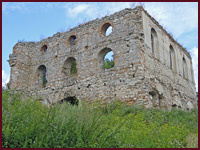 There are ruins of abbey of Dominikans not far from it. 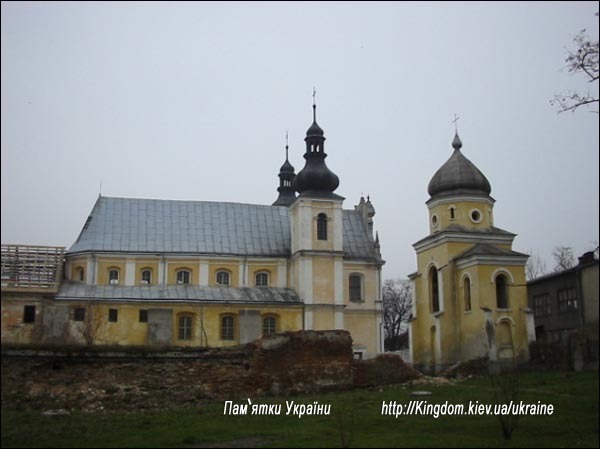 Catholic Church and monastery were founded by Zemovit the Fourth, Mazovets and Belz prince in 1394. Austrians closed monastery in 1784 and transformed into parish Catholic Church. 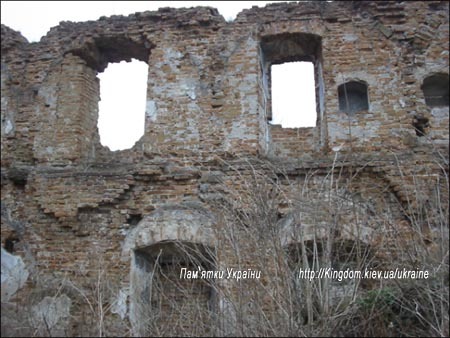 It had been existed till the World War Second and was destroyed during it. We can look at it on the photo. The St. Michael (Saint Mykolai) Greek-Catholic church is situated not far from the ruins. 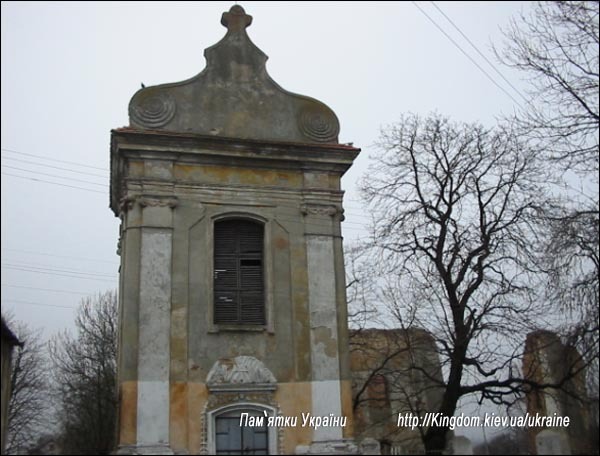 It had been built in the 17th century. 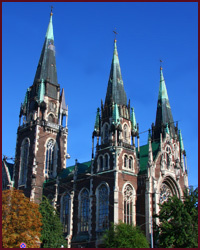 The church was restored in 1861. It was made of red brick. 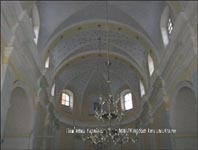 This church has been restored recently. 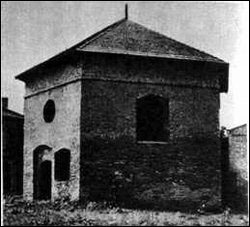 The cells had been built earlier than church from the southern and western sides. 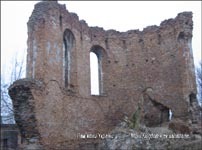 It looked like this several tens of years ago Now it is a ruin. It is very pity that it had been ruined more during the last 50 years and it cannot be restored. 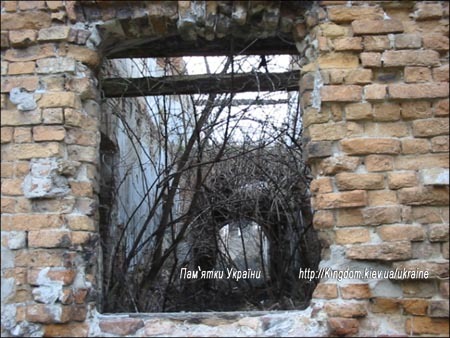 Collecting some bricks, catching on lugs of wall, I am clambering through the open window. Oh, my God! What a sight! 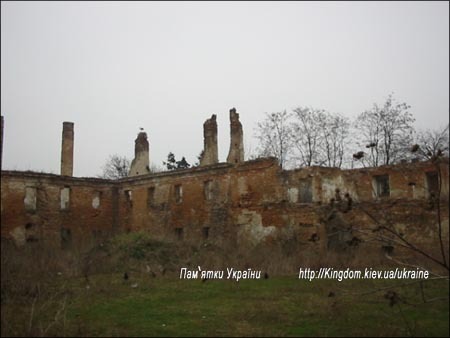 Hens are walking there…I have thought our country looks like this partially disturbed abbey. Beauty is broken and everything has transformed into big hen house. Walls have been ruined. The doors are closed but one can get through the window. Young people enjoy it. 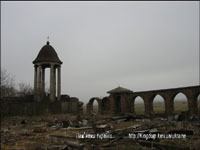 Architectural wonder is situated on the local cemetery. 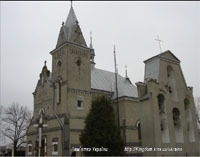 It is wooden Saint Paraskva church. It has been working still. 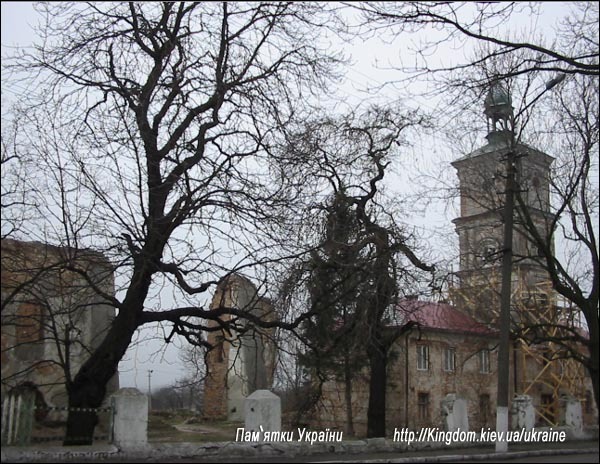 New Orthodox Church is located at Zamochok (small castle). 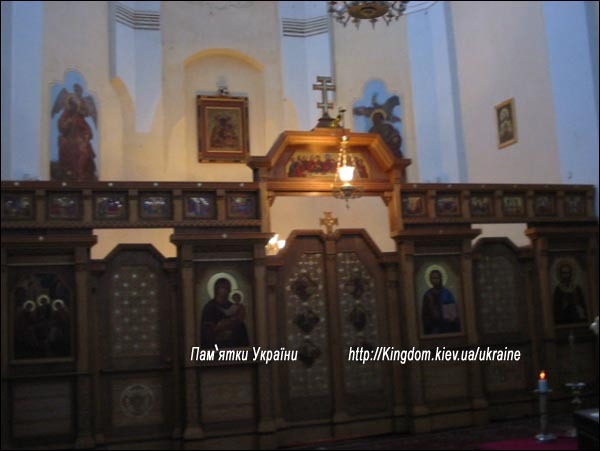 It resembles Catholic Church a little, but it is Orthodox Kyiv patriarchy. Its interior is new and nice. It was built in 1926 by project of Kalikst Kryzhanovskiy. 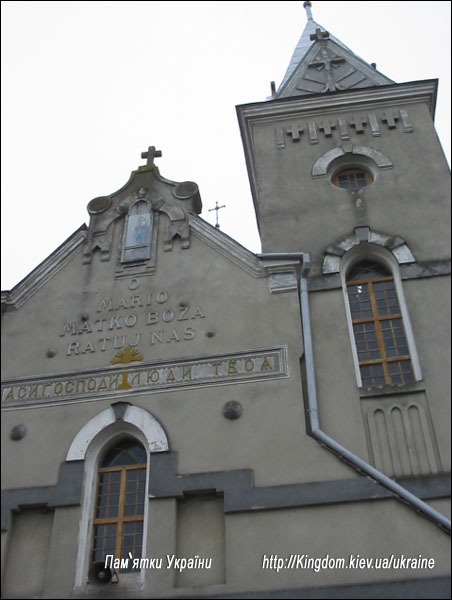 It is written in Polish Matka Boza on the facade. 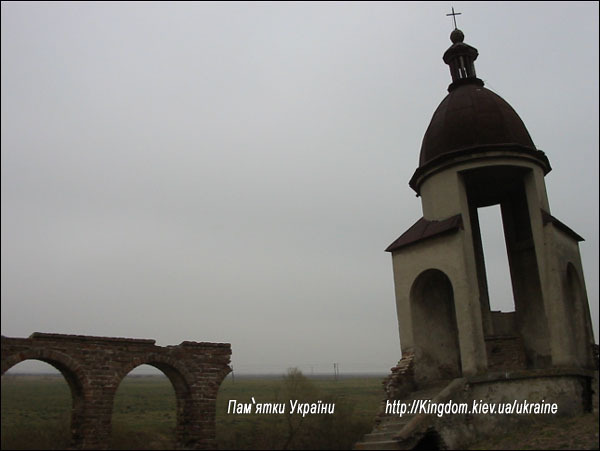 Maryana chapel is near the church. Icon should be bought there. Nothing has been restored here. 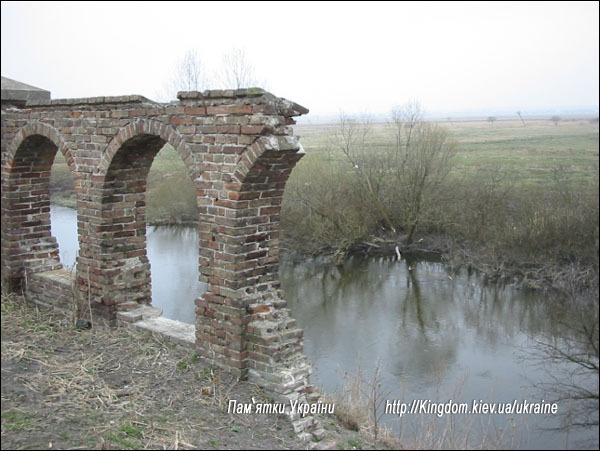 It has been ruined as stone fence above the river. All these stones became witnesses of important events which influenced on history and fate of Ukraine. It is pity people do not value those silent witnesses. They allow these memorials to disappear.